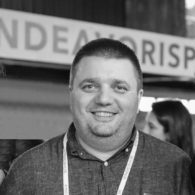 Nikolay Nedev is a serial entrepreneur with 15+ years of experience in the IT field. He is a co-founder of Browswave – a software service that helps retailers and vendors of consumer electronics track their price positioning relative to competitors across product categories and markets. Before Browswave, Nikolay co-founded laptop.bg – one of the first ecommerce sites in Bulgaria that now holds 35% market share of online laptop sales. Prior to that, Nikolay worked as a domain expert and front-end developer in various software companies including Telerik. Nikolay has a Master’s degree in Management from Mining and Geology University in Sofia.